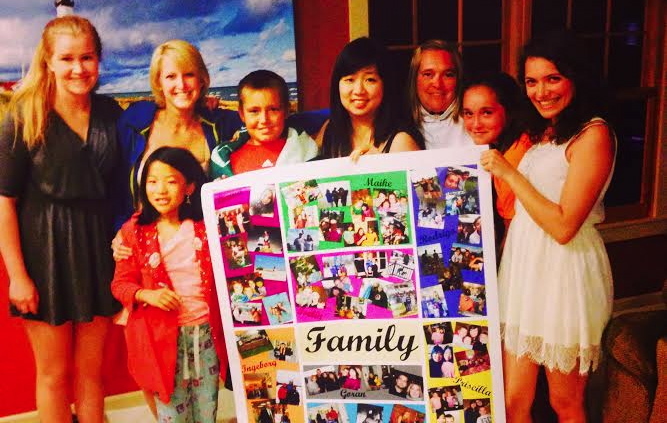 Amy and Dan are welcoming their 15th exchange student home this fall! Amy has also served as a local Aspect coordinator in Michigan since 2006, helping other families make unforgettable connections. Bruna from Brazil came back for Amy and Dan’s daughter’s baptism and is her godmother. Bruna was on exchange when they adopted their daughter and has a very close bond with her. She has been able to come back yearly for 7 years to visit. We began hosting our first year of marriage. We had dated for 7.5 years before we got married so we were ready to try something new. I saw an ad in the local newspaper and had already made the decision before my husband Dan came home from golfing. My husband’s family hosted when he was younger so he was open to the idea as well. We started with a 15 -year old German girl named Anna (she is now 30 and a professor in Australia!) Since then, we have hosted Anna’s brother and 13 other students. We have our 15th this year from Italy. We keep in contact with our students and it’s very seldom that we have a summer break without one of our international family members. Two of our students have stayed in America for college, so we have been able to go visit them and attend their graduations. Our children really form a bond with these students and they are treated just like our kids. We don’t hide anything. They know when we’re upset because we tell them, and it really helps because then they don’t feel like we’re talking behind their backs. I really think this communication has been the key to our relationships with them. 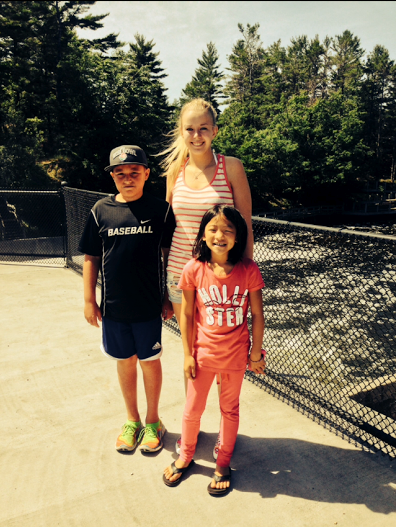 Izzy from Norway at a state park with her host siblings. This has become a passion for our family. All three of our children have learned so much about the cultures of Germany, Scotland, Croatia, Brazil, Norway, and Italy, and so much more hands-on than what they’ll get in school. I turned 40 this summer, and they all formed a private group on Facebook to communicate and help my husband plan a surprise party. I started to wonder what was going on when my husband put a passcode on his cell — he never does that! After some trick drives to what I thought may have been the mall or visiting family, we ended up at the airport and 5 of our students came back to visit! The students who couldn’t make it all made a video that I was able to sob to at the surprise party. They played it on the wall in our living area. I can’t say enough about this experience for myself, my family, and our extended family. It has been very enriching and I love the kids so much. My dream in life is to be able to get to Europe and South America (our Asian student is still in the USA). Surprise! 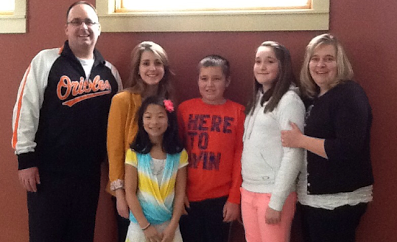 5 of Amy and Dan’s students came back to help celebrate Amy’s 40 birthday. I also can’t say enough about Aspect. The administrative team is amazing when they are working with students and families. They really care about the well being of all and work to ensure the best for both. They are loving people who work hard to please everyone – even though their plates are full. 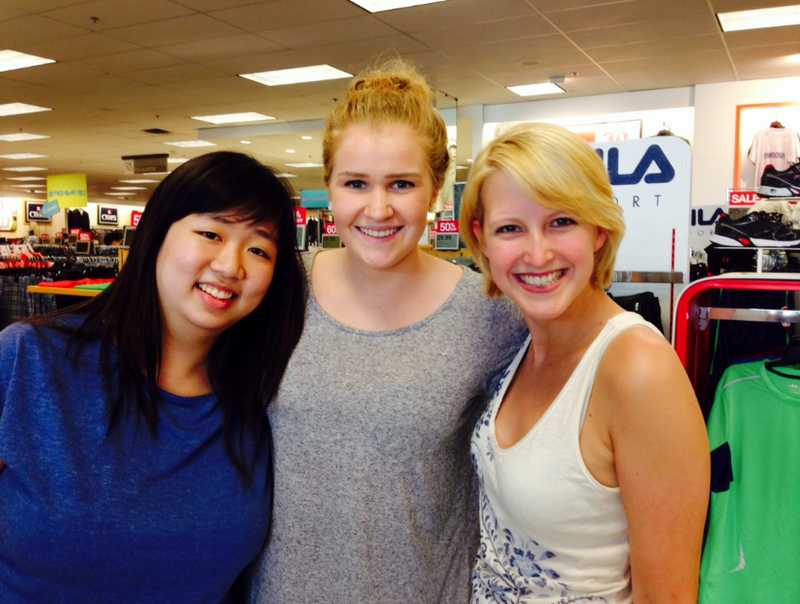 Priscilla from Hong Kong, Ingeborg from Norway and Martina from Norway got together at the mall this summer. All from different years came back for the birthday surprise! Tags: coordinator, featured, Hosting, michigan. Bookmark the permalink.